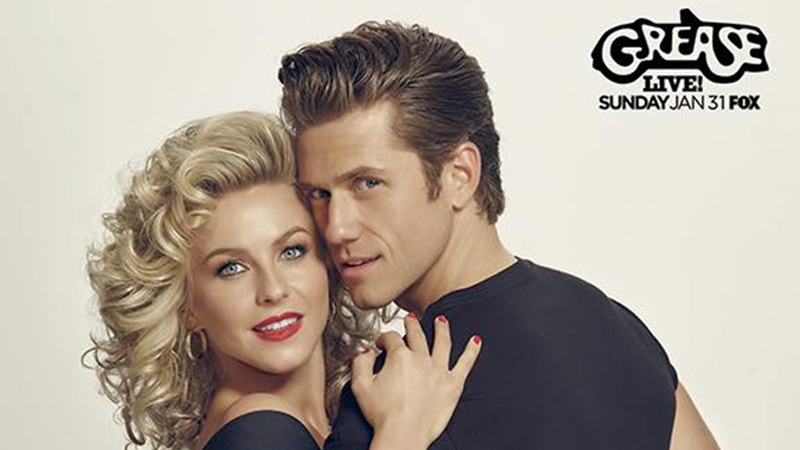 Last weekend, Fox aired a live performance of Grease with cast members such as Aaron Tveit, Vanessa Hudgens, Carly Rae Jepsen, and Keke Palmer. The performance incorporated songs from the original stage musical, the 1978 film, and additional, new songs. It was performed on twenty-one sets across two sound stages and the outdoor backlot of Warner Bros. Studios. (This gave cast members only a few minutes to travel from set to set while changing costume during commercial breaks.) 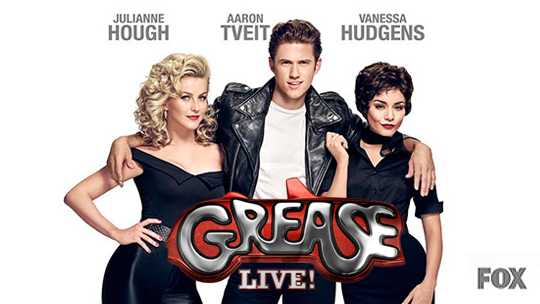 A three-hour special, Grease: Live was quite the show with over twelve million viewers. Here's what we thought of Grease: Live. I've never been a fan of Grease. I wasn't even familiar with the story until I saw a friend in a high school production when I was fifteen. I always found it to be crude, and I disliked the ending. But this is about Grease: Live. The story was mostly the same. As for the performances... I personally found them to be wonderful. Aaron Tveit is who drew me to the production in the first place. He's already a Broadway and film veteran and a great performer. He acted and danced perfectly for Danny Zuko, and his voice is always nice to hear. Julianne Hough did great as well. I've never seen her in an acting or singing role, but she pulled off innocent Sandy fantastically. Let me just talk about Vanessa Hudgens for a second. The girl epitomized the mantra "the show must go on" by performing hours after losing her father. Not only that, but she totally rocked the role of Rizzo as if she poured all the emotion she was feeling into pulling it off. When my grandmother passed away, I could barely do anything, much less perform for millions of people. The pink ladies were all great. I loved Marty's song "Freddy My Love" and the way they pulled off a costume change for that. I felt like Carly Rae Jepsen's song was one of the weaker showings, but she was pretty strong throughout. One of my favorite moments was Doody's rendition of "Those Magic Changes." Doody's was probably one of my favorites just in general. Jordan Fisher is pretty adorable. I also liked Jan, portrayed by Keller Donahue. She was obviously meant to be the comedy of the show with her voracious eating habits and quirky personality. Although there were some moments that weren't my favorites I overall really enjoyed this live production. It's probably my favorite way that a live show has been done. It was quite innovative and fun to watch. For any well-known musical production--whether it's famous because of a Broadway show or a movie--it has to be intimidating to create a new production of it. Yet, it happens all the time on a smaller scale of productions. For the cast and producers of Grease: Live, I applaud your bravery for taking on such a monumental project and thrusting it into the spotlight of live television. It had been a few years since I watched the 1978 film of Grease, so I was going into the show with a blurred impression of the songs and story. Sure, I could probably finish a few lyrics of "Grease Lighting" or "Hopelessly Devoted to You," but I wasn't up to par on my Grease knowledge. Thus, I thoroughly enjoyed this live production. There's just something about a live performance that outranks any film. Sure, Aaron Tveit might not be John Travolta, but he pulled off the part well with his acting and singing. (Plus, I think he's more attractive than Travolta ever was.) Vanessa Hudgens was Rizzo, through and through. The entire cast from Julianne Hough to Carly Rae Jepsen to even Mario Lopez (Yes, I know) did a fantastic job. They had to race across the sets to get to their next scene, they didn't get to take breaks in between "takes," and they didn't have a few months to complete the performance. They had a single, three-hour event to shine. And shine they did. Every single member of this cast proved their talent. I was pleasantly surprised to catch all the cameos within the production. Joe Jonas, Mario Lopez, and even Carly Rae Jepsen as Frenchy was a huge, delightful surprise. Of course, the best cameo was Didi Conn as Vi, the diner waitress. Conn played Frenchy in the film, so it was exciting to see her and Carly Rae Jepsen's Frenchy interact in a scene together. The 1978 Doody, Barry Pearl, played a small role too. It was cute to see them with their "Pink Ladies" and "T-Bird" jackets at the end. 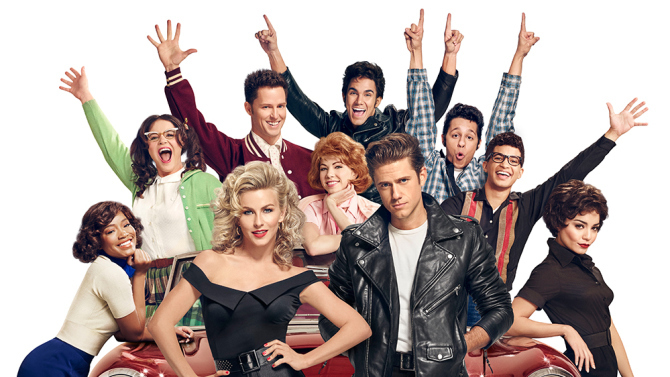 What did you think of Grease: Live? React with us in the comments below!